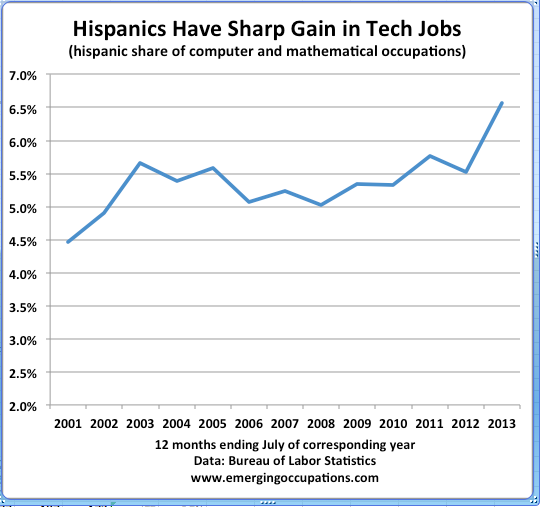 This entry was posted in Diversity and tagged Hispanics in tech by Michael Mandel. Bookmark the permalink. 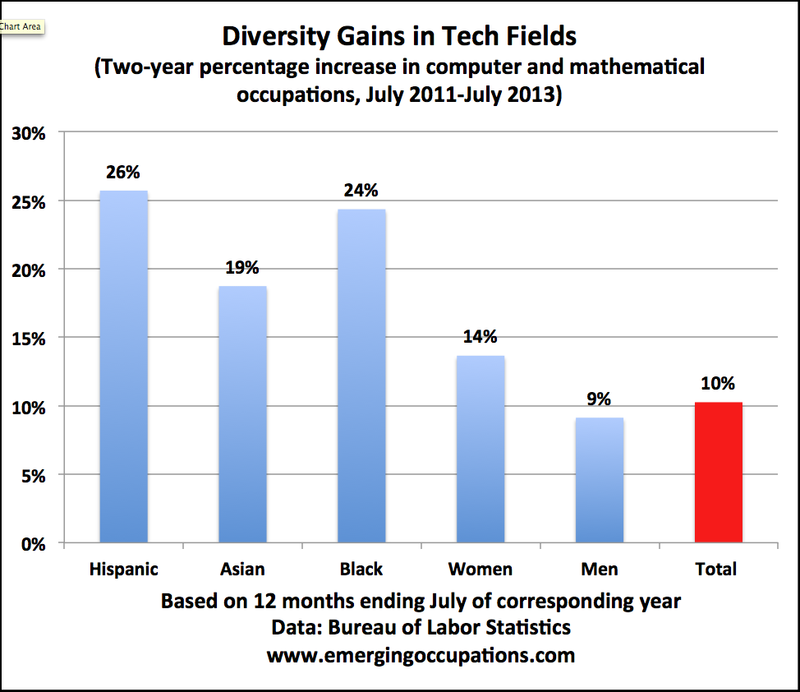 it would be great to see the numbers broken out for each category, computer vs math related.